It is rather hard not to do a double take when catching a glimpse of Dhani Harrison. At 34, the handsome musician is the image of his late father – and former Beatle – George; right down to his profound deep brown eyes, gentle smile and unassuming gait. 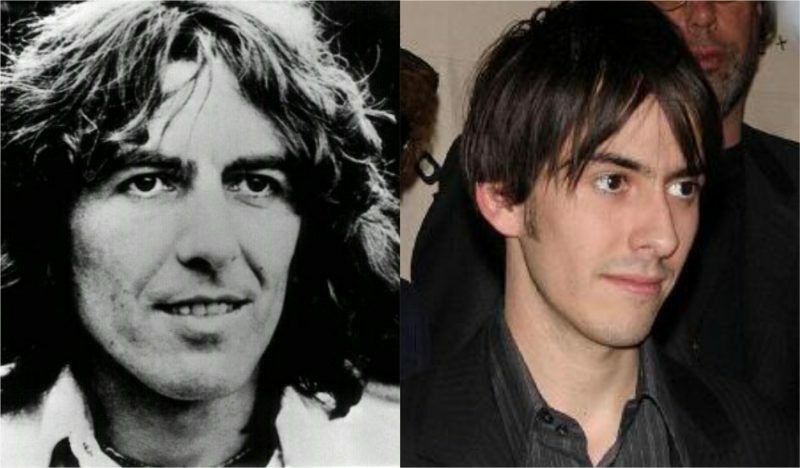 Dhani stands shorter at 5ft7 than his Liverpool-born father, who was 5ft10 (this was a similar height to Lennon and McCartney, both 5ft11, and created that famous symmetry on stage with George; 5ft6 inch Ringo sat behind his drums, of course).But the similarity is so striking, you barely notice, he’s as reluctant to be in the limelight as his quiet and sardonic father – who called his own company Dark Horse – and was only attending this event to support his musical contribution. As a kind of testament to Jagger’s long and varied dating history, his eight children have five different mothers. 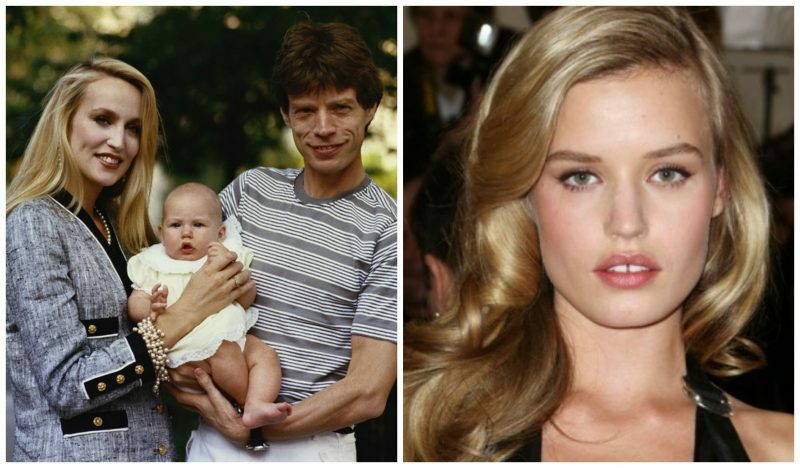 Georgia is The spitting image of her model mother Jerry and her Rock and Roll father Mick, Georgia May Jagger is one of Mick’s most recognizable children, thanks to a score of big modeling gigs and high-profile celebrity friends. Despite having an Instagram following of 825,000 people, Georgia May caused a mild stir when she criticized the trend of hiring models based on their online popularity, saying it “doesn’t really make sense”.